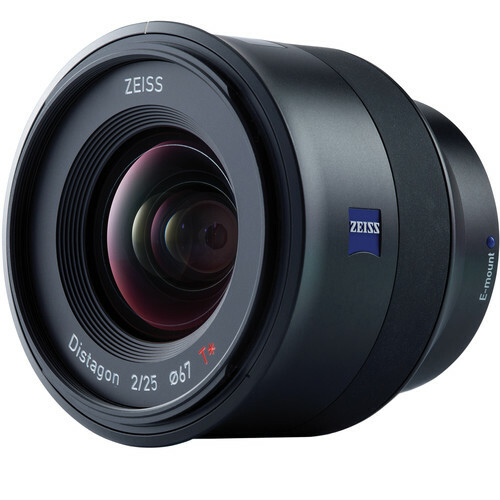 This series shows that the Zeiss ZM 35mm f/1.4 Distagon can nonetheless outperform native lenses (!) when stopped down, in spite of the serious damage to its performance caused by ray angle effects of the sensor cover glass. See MTF on Mirrorless Cameras for just how serious the damage is. 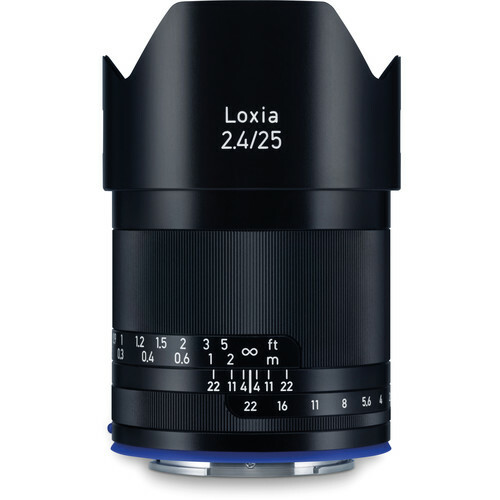 One wonders what Zeiss could do for a native design. This series is remarkable in that by f/5.6 to f/8, total performance across the field stomps on the performance seen with native lenses for the Panasonic S1R, albeit with the downside of accentuated field curvature. 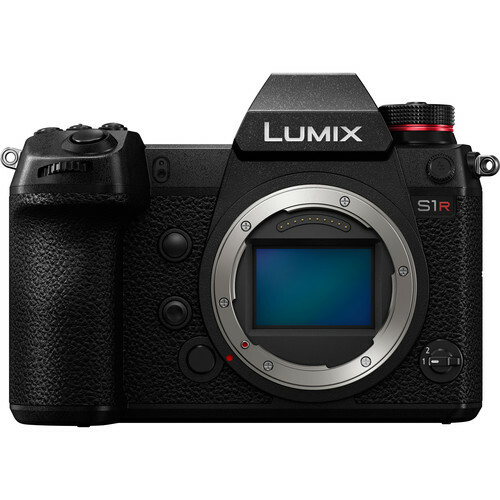 It is by far best total performance I have yet seen of any lens yet tested on the S1R, including two Panasonic LUMIX S and three Leica SL lenses (April 2019). Which is astounding, to say the least. Skepticism can reasonably be expected from Leica SL shooters, both from cognitive commitments to Leica optical prowess as well as from dumbing-down the lens resolution to a 24 megapixel sensor. Includes images at 24, 47 and 124 megapixels, all downsampled from the 187MP Multi-Shot High-res mode images, plus crops and black and white renditions. This example is a prime example of what is possible in Multi-Shot High-Res mode—black and white shooters should take special note of the incredible detail and image quality and total freed0m from noise. From what I can tell, the results here are better than (single shot) medium format quality of any size. Cognitive dissonance can make heads explode, so Leica fans are forewarned as to the findings. However, the comparison has nuances and more than one consideration, and there are good things to say about the Leica 16-35mm f/3.5-45 Elmarit-SL ASPH at 35mm. The Leica 24-90... not so much. Zeiss ZM 35/1.4 was mounted on the Panasonic S1R using the Novoflex Leica M Lens to Leica SL/T Camera Body. This near-to-far scene evaluates the Leica 24-90mm f/2.8-4 Vario-Elmarit-SL ASPH OIS at 46mm on a finely detailed scene with an excellent near/far range. Detail is evaluated in the context of pronounced focus shift. Shot in Multi-Shot High-Res mode, it includes images at 24, 47, and 105 megapixels from f/3.6 to f/8. The Panasonic S1R has a serious bug with XQD cards which results in loss of images. The camera warns of a write error then cannot be used any more until power cycling the camera or pulling/reinserting the card. At this point, I do not know if the same bug occurs with SDXC cards (much slower so I prefer not to use SD). Although my rigorous verification of the Sony 256GB XQD Card as reliable was compelling evidence the S1R was at fault, I wanted to give the Panasonic S1R a chance to prove itself with a different card. Accordingly, I started using a Lexar 128GB XQD card., formatting it in camera first of course (as I’ve done repeatedly with the Sony XQD card). The very first day shooting with the Lexar XQD card, the S1R reported write errors numerous times over 3 hours, destroying the exposure every time. Typically, truncated RW2 raw files remain on the card, e.g., 4MB or 17MB or whatever (random file size, aborted recording). These files are of course useless. A side effect when a write error is reported by the S1R is the need to power cycle the camera or pull and reinsert the card. Either resets the lens focus—disruptive and time-wasting when shooting a series or in HighRes mode. As if loss of camera operation were not disruptive enough. Still, that the S1R warns when the problem occurs is a good thing, even though it is inconvenient—better than silent errors. This aperture series from f/4.4 to f/11 evaluates the performance across the frame and near to far at 33mm. Shot in single shot mode on the Panasonic S1R (too dark for multi shot). It complements the mosaic series at 35mm. Includes images up to 47 megapixels from f/4.4 to f/11. 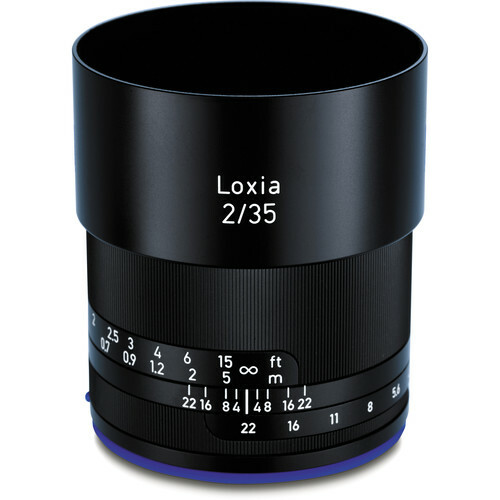 This aperture series from f/4.5 to f/8 evaluates the performance across the frame at 35mm. Shot in Multi-Shot High-res mode on the Panasonic S1R, to allow for maximum possible quality including mitigation the effects of distortion correction. Includes images at 47 and 106 megapixels from f/4.5 to f/8. I am delighted to see solid performance at the 35mm zoom setting. This 3-way shootout compared the Leica 50mm f/1.4 Summilux-SL ASPH to the Panasonic Lumix S Pro 50mm f/1.4 and Panasonic Lumix S 24-105mm f/4. 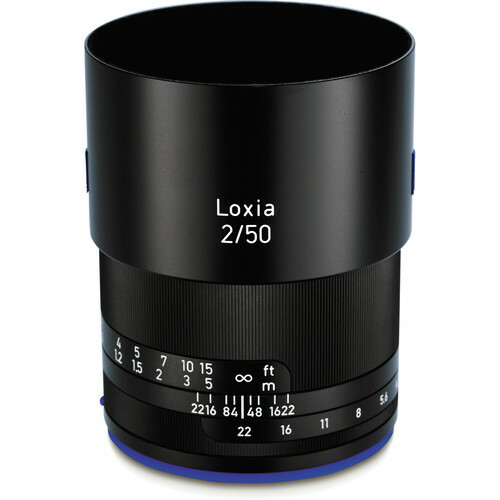 This subject is extremely demanding for lens performance. It is a highly detailed planar target and thus intolerant of focus shift and field curvature, revealing any lens weakness. Examined in this comparison are lens symmetry (e.g., build tolerances), sharpness particularly in outer zones, focus shift (! ), field curvature, and total imaging performance. Includes images at 47 and 93 megapixels, downsampled from the 187MP Multi-Shot High-res mode images, plus crops from the 93 megapixel images, all from f/1.4 through f/8. This comparison is unusually compelling—recommended reading for all and even if these lenses are not of specific interest. I am not a fan of the sharpness-robbing approach to lens design of allowing distortion that requires distortion correction, be it Leica, be it Zeiss, or be it Panasonic. And when manufacturers present MTF charts of optical performance for a lens flags distortion correction in the EXIF as mandatory, one has to wonder if the deception is intentional, because the claimed MTF in the negatively-affected areas is impossible to achieve with distortion correction. See also Leica 50mm f/1.4 Summilux-SL ASPH: Sharpness Losses from Distortion Correction. The Panasonic Lumix S PRO 50mm f/1.4 relies on software distortion correction to deal with its pronounced optical distortion. This page shows distortion with and without distortion correction, and also shows much sharpness is lost to distortion correction, both for single shot mode and Multi-Shot High-Res mode. Includes crops from both 93-megapixel and 47 megapixel images. 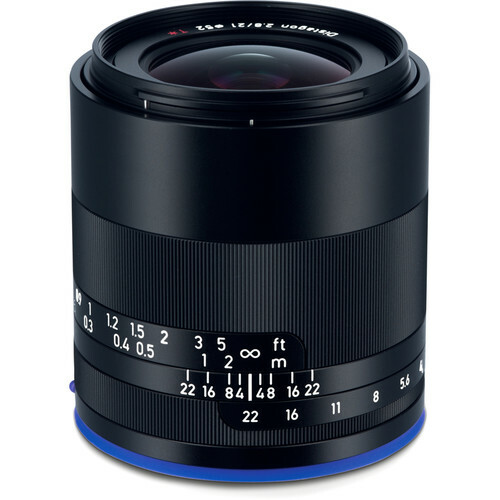 Performance at wider apertures of Leica M lenses and Zeiss ZM lenses is generally miserable on all mirrorless cameras to date (~April 2019) including the Panasonic S1R as used here. 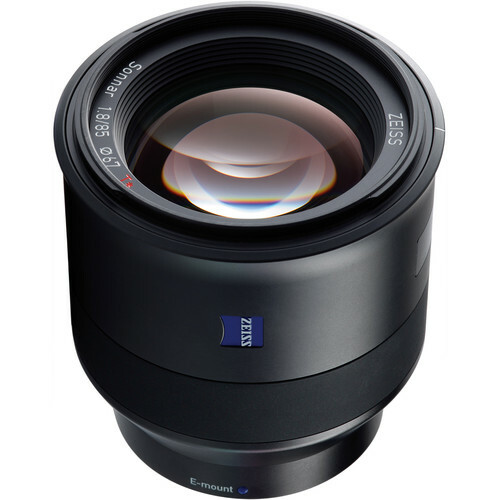 However, this series shows that the Zeiss ZM 35mm f/1.4 Distagon can nonetheless outperform native lenses (!) when stopped down, in spite of the serious damage to its performance caused by ray angle effects of the sensor cover glass. See MTF on Mirrorless Cameras for just how serious the damage is. 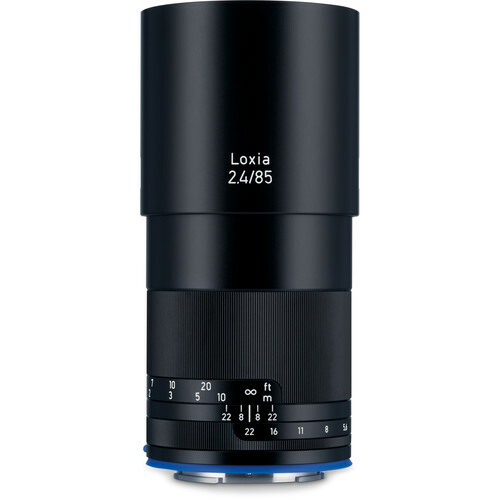 One wonders what Zeiss could do for a native design. Includes images up to 93 megapixels, 47MP sensor-resolution images, and 24MP images, all downsampled from the 187MP Multi-Shot High-res mode images, plus crops from the 93 megapixel image. Zeiss ZM 35/1.4 was mounted on the Panasonic S1R using the Novoflex Leica M Lens to Leica SL/T Camera Body Lens Adapter. Below, bottom 1/4 of frame was cropped off. This aperture series from f/3.5 to f/8 evaluates the performance across the frame at 16mm. Shot in Multi-Shot High-res mode on the Panasonic S1R, to allow for maximum possible quality including mitigation the effects of distortion correction. Includes images up to 93 megapixels from f/3.5 to f/8, plus crops. In Panasonic S1R: True ISO 50, not a Faux ISO — Kudos to Panasonic, I discussed noise and and the signal/noise ratio derived from images I had taken from ISO 50 to ISO 51200 in 1/3 stops (RawDigger folks analyzed the images). That series was not ideal and not shot for the goal of showing the true S/N ratio because it was shot in-focus, which means that standard deviation calculated on the gray patch is increased by subject detail, including dust. Visually and with careful inspection at enlarged size, I determined that there is a subjective 1.5 stop improvement in noise level by using Multi-Shot High-Res Mode versus single shot. This matches the theoretical improvement in noise from 8X the exposure: √8 = 2.8 which is 1.5 stops (2^1.5 = 2.83). Multi-Shot High-Res Mode really only makes sense at ISO 50, is marginal at ISO 100, and no point at ISO 200 on up. Given the time and space required, this can be summarized as “in terms of noise alone, High-Res mode at ISO 50 is the only ISO that makes sense”. At ISO 100, you’re dealing with an 8 exposures huge file hassle for a 1/2 stop gain in noise performance at most—pointless since a single shot at ISO 50 is so close; The S/N graph suggests ISO 50 single shot is as good as ISO 100 MultiShot, but visual inspection repudiates that idea; ISO 100 MultiShot is slightly better. I expand upon my comments in Panasonic S1R: Signal/Noise ratio for Multi-Shot vs Single Shot, ISO 50 to ISO 1600. This aperture series from f/3.5 to f/11 evaluates the performance across the frame at 16mm. Shot in single shot mode on the Panasonic S1R. This series confirms the poor edge performance also seen in View over Bike Path to Tower. Includes images up to full camera resolution from f/3.5 to f/11, plus crops. 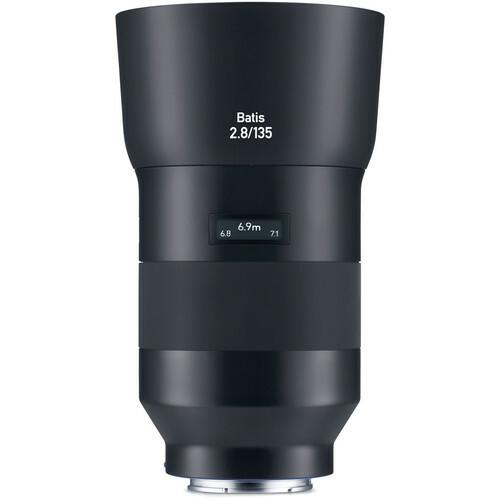 The Leica 16-35mm f/3.5-4.5 Super-Vario-Elmar-SL ASPH relies on software correction for distortion, including a jaw-droppingly huge amount at the 16mm setting—perhaps taking a cue in optical design from the extreme distortion of the Leica Q. The degrading effects of distortion correction in both single shot mode and especially Multi-Shot High-Res mode are well worth understanding for anyone thinking of high resolution capture. 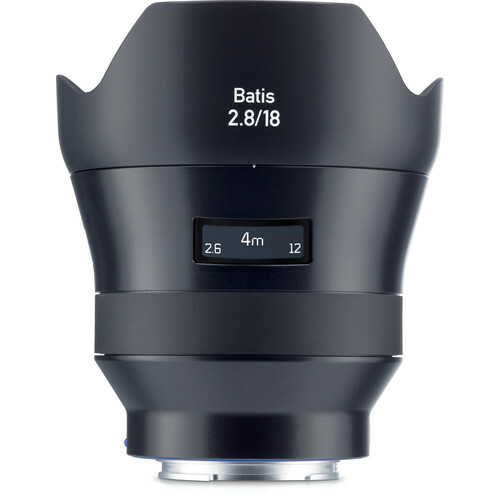 I’m stunned that an about $5500 lens with an exceptionally dark f/3.5 to f/4.5 maximum aperture relies upon sharpness-robbing distortion correction to combat extreme distortion at 16mm that seems more fitting for a consumer-grade APS-C kit lens. Below, the uncorrected distortion at 16mm with the Leica 16-35mm f/3.5-4.5 Super-Vario-Elmar-SL ASPH. Image processed with Iridient Developer, which allows raw conversion with or without “mandatory” distortion correction—Adobe Camera Raw in either Photoshop or LIghtroom provides no option to disable correction for built-in lens profiles (those that the camera writes into the EXIF). The Leica 50mm f/1.4 Summilux-SL ASPH sets an EXIF flag that requires software correction for both color fringing and distortion. For a lens claimed by Leica to be a “reference lens”, requiring distortion correction seems dubious at best because a requirement for distortion correction guarantees reduced performance in some part of the frame, since pixels have to be stretched apart to correct the distortion. And yet the distortion is strong enough that it really has to be corrected. Based on working with both the Leica 50mm f/1.4 Summilux-SL ASPH and the Leica 16-35mm f/3.5-4.5 Super-Vario-Elmar-SL ASPH, I would say that any assumption that Leica SL lenses are a magic bullet for resolving power on the Panasonic S1R is a poor assumption at best. Stay tuned for lens comparisons! I'm selling this lens on behalf of a friend. As some readers might know the Canon EF 200mm f/1.8L is a beautiful supertele long lusted over that has become a collector’s item—not many were made. Glass looks perfect front and rear and through, lens is not mint but looks close to it. Includes Canon lens hood and hardcase and warranty card (out of warranty, USA). Includes original lens foot and Really Right Stuff LCF-40 Foot. Local sale (San Francisco Bay Area) preferred so buyer can inspect lens, Reno NV area might be possible next week. Contact Lloyd. $5500 or best offer. Preface—I post health-related issues from time to time, because this results in direct benefit to some readers, which is always a goal, photography or otherwise—skip such posts if you object. Judging by positive feedback, they’re nice intermission once in a while. Most such posts are health posts at WindInMyFace.com. Everyone ought to read about an emerging danger in The Fungus that Can Kill You—Candida Auris Spreading and Very Hard to Decontaminate. CBD (cannabidiol, a non-psychoactive hemp compound) is all the rage, which means the world is now filled with bogus claims and charlatans, and low quality or even dangerous product. The dumbest thing is food infused with CBD—CBD is expensive and the digestive tract metabolizes away 2/3 or so of it so it’s just a waste to eat it—see CBD (Cannabidiol): How to Use/Apply. The smart move is sticking only with lab-tested brands grown organically*. I’ve read the independent lab reports for NuLeafNaturals CBD (use code diglloyd20 for 20% off every day) and asked many questions of the company both in phone and email. I have satisfied myself that they are the up and up, and so I use their product exclusively. * Any concentrated extract such as CBD carries the risk of concentrating contamination also. Get 30% off NuLeafNaturals CBD through April 21 using code 3DAYS30. Remember and use code diglloyd20 for 20% off every day of the year. Last year I wrote about how CBD helped my asthma by keeping small airway spasms down in CBD (Cannabidiol)—Eliminated My Small Airway Impairment (Asthma). A number of readers wrote to confirm that NuLeaf Naturals CBD was the real deal, and helped them. Here is some followup on what I think works for me with CBD. I’ve concluded that CBD is effective for some but not all types of small-airway bronchospasms, and not a substitute for an inhaler for rapid-onset issues. However, I use my prescription asthma inhaler far less than before. Heavy breathing while exercising in cold air can cause exercise-induced asthma—has been an issue for me for years. CBD might damp-down the issue, but it’s not a solution when it happens—the inhaler is still needed though it too is not fully effective. Where CBD really seems to help is when there are ongoing environmental insults such as bad air, pollen, etc. I’ve concluded that CBD moderates things so that days where I notice impairment are both fewer and less noticeable. The allergy season is picking up big time, so this year should be a tough test of that theory. I have a lower back pain that comes and goes (this might sound odd, but a double century usually eliminates it 80 miles or so into the ride, presumably from blood flow). One particular day while working at the computer, this pain had plagued me half a day to the point of being distracting. I took a triple dose of CBD (about 75 mg) and all pain was gone 30 minutes later and stayed gone that day. It was an experiment, one I will repeat when the need arises. Doctors might scoff, but pain meds are serious business, so I’ll scoff back at the costs and risks. My elderly father injured his hand and had chronic pain in it for weeks. Being a natural skeptic and frugal too, it’s not easy getting him to try anything and I expected a firm “doesn’t work, won’t buy it again”. But he gave CBD a try and believes it has helped the pain—a ringing endorsement from him. In his case he applied it topically to his hand. So far I have not persuaded him to follow my recommendation of an oral dose also. There are all sorts of claims out there as to mental health benefits but I think these may be overreaching considerably. Still, I’m going to give the claims of “calming” and “relaxing” some credence based on my experience and my daughter’s—but the effect is mild for me. Applies to prescription drugs too, and many marginally beat placebo. If my brain thinks it works, then it works, period. Each person surely responds differently. My daughter has a incurable health condition that causes muscle pain and fatigue. She uses it 3 times per day, 10-12 drops = 24mg CBD each dose. As far as I can tell, 25mg is a better dosing for me, just on the threshold of noticing a relaxing effective, and what I’ve been using for my asthma. I’ll use more if I feel particularly stressed or if asthma creeps up. Update April 23: although verification of the Sony 256GB XQD Card (remainder of post below) was compelling evidence that the card was good and the Panasonic S1R was/is at fault, I swapped cards to a Lexar 128GB XQD card. The first day shooting with the Lexar card, the S1R alerted me to write errors 5 or 6 times over 3 hours. In other words, the Panasonic S1R looks to have a very serious problem, failing to work correctly with two different XQD cards of two different brands. Loss of images is the kiss of death for any camera, and the S1R has destroyed about 20 images now. For what I’ve been shooting, I can shoot the frame again, but that’s not the case for many types of photography. About two weeks ago in Panasonic S1R: Data Loss with Sony XQD Card, I reported card errors but I wasn’t sure of the cause—camera or card. Since then I had card write errors 2 or 3 more times. I give credit to the Panasonic S1R for reporting the errors instead of silently failing. The card has been formatted many times in the camera, but the problem recurs. I should have done this sooner, but I today tested the card in an XQD card reader using the fill-volume command of my software diglloydTools DiskTester (see also IntegrityChecker) The fill-volume command (which I use frequently for testing hard drives and SSDs) writes to 99% of the card capacity and then reads it back and verifies it byte-for-byte. The tests ran to completion, and showed no errors. While not an absolute proof (could be a compatibility issue? ), the rock-solid reliability of this exact-same card over the past year in the Nikon D850 and Nikon Z7 implicates the Panasonic S1R as the root cause. This kind of problem is to be expected on a new top to the line system. Probably caused by not enough company testing under real world conditions. Not only could this affect you reputation but also your pocket book. If models are involved on a commercial advertising shoot you might be responsible for model fees and production costs. A pro would have to have at least two and possibly three bodies to feel halfway secure on a big money shoot. It also means that there are probably other hidden problems that will take 6 months of continuous use to uncover. Your readers should thank you for finding these significant errors. “Abandon all hope ye who enter here." Lloyd you are really something. Why don’t the high end camera companies hire you to test their products BEFORE they unleash them on consumers? No one tests equipment like you, no one. DIGLLOYD: one camera and one card do not make a pattern, but it is worrisome. Speed using a USB port on the 2018 Mac mini is rocking fast! Zero errors. Creating up to 1000 files of size 237 MiB on volume "SonyXQD"
Speed on a USB 3.1 port through a hub on the 2017 iMac 5K is severely impaired, but no errors. The Single-Shot vs Multi-Shot High-Res Mode2 Motion Correction page looked at image quality using Motion Blur Processing = MODE2, showing excellent results, as did Multi-Shot High-Res MODE1 vs MODE2 with Moving Subject Matter. This page shows that even using Mode2 for Panasonic S1R Multi-Shot High-Res mode, moving water can generate intolerable artifacts of at least two kinds: (1) patchy areas that show abrupt discontinuation from other areas, and (2) pixellation. Includes images up to full camera resolution for HighRes vs single-shot, plus crops. Just quick note, I’ve added a tedious but usable workaround for magnified Live View focusing that achieves 2X greater magnification. The workaround has serious drawbacks that make it worthwhile only in limited circumstances., but you do get 2X larger (4X in area) magnification for manual focusing. The workaround is proof that Panasonic could easily fix the issue in a firmware update. And that someone in Panasonic engineering has poor judgment shipping the S1R with such an arbitrary magnification cutoff. It is my goal to cover all the the Leica SL lenses on the Panasonic S1R as well as all of the Panasonic LUMIX S lenses too, and later the Sigma DG HSM Art lenses for L-Mount.